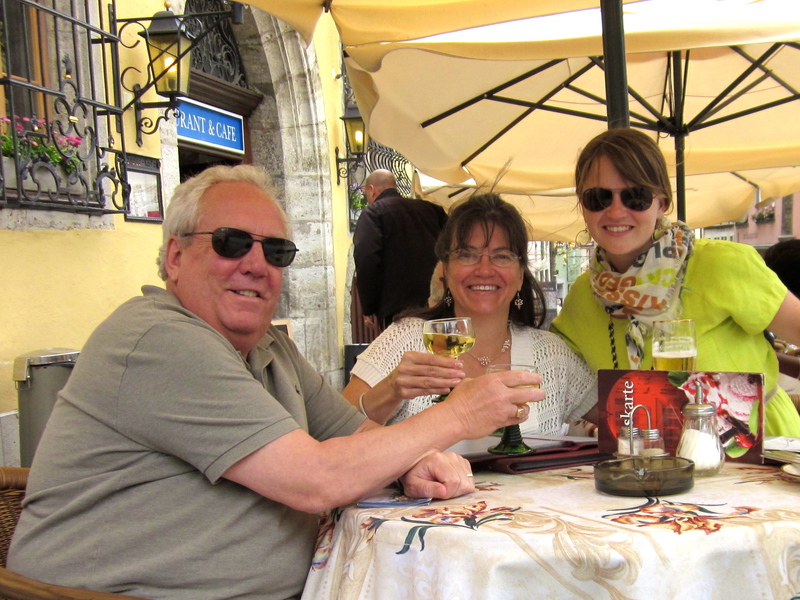 At any given hour, my family and I were in the Marketplatz sharing a drink with Australians (they’re everywhere). When I last left you all, it was 2 AM and I was listening to a clock chiming every 30 minutes in Rothenburg. I’m now in Mainz, but nobody really cares about that — or at least you shouldn’t, because Rothenburg is incredible, it’s wundebar (English for amazeballs). I went for that run on the wall around the city. This wall kept Rothenburg secure for nearly 700 years. The first time the wall was breached the city was invaded. The invasion happened because the person who managed Rotenburg’s gunpowder tower walked into the room with a torch. This decision 1) created a huge hole in the wall on the only accessible side, admitting about 40,000 crusaders during the 30 years war and 2) used up all of their gunpowder. Rothenburg, in an odd way, benefitted from this invasion. The resulting depression and poverty from the pillaging of the town caused it to remain an untouched and unmodernized medieval town until 1890, when tourists began to notice it. Mom got some great Christmas stuff — they have a number of Christmas Markets in the town that somehow make May seem like December when you wander into them. We also saw some incredible churches, though that is not a unique feature for towns in this region. We (reluctantly) moved on to Mainz yesterday, but on the way we drove the Romantic Road, passing through a number of idyllic and beautiful Bavarian towns. Yesterday was Kevin’s birthday! So we tried to find him something called Swinahauxsen (pig knuckle). We failed, but we did end up at a beautiful restaurant in Mainz’s old town, where I ate about 2 lbs of red cabbage kraut. I love this stuff. I will be attempting it at home. Today, we did a cruise along the Rhine and visited the castle town of Heidelberg. I will tell more stories of these things soon. For now, it’s a mere 1 am! So I am wrapping up. Tomorrow, we go to Frankfurt and see some of Kevin’s old haunts. Should be good!